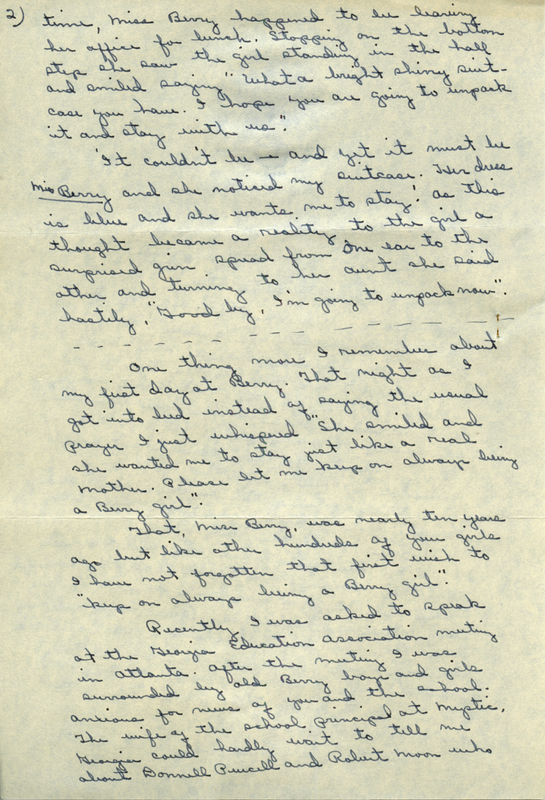 A letter from Peggie Hull Holliday to Martha Berry, recounting the experience of the first day she arrived at how being a "Berry girl" changed her life. 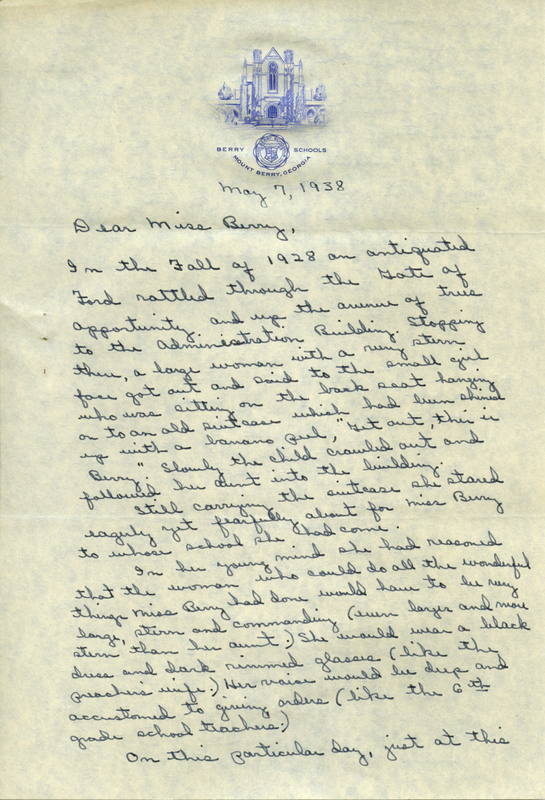 She mentions that, even though Martha didn't have any children of her own, Martha should know that she is a mother to all of the people that have gone through her schools. 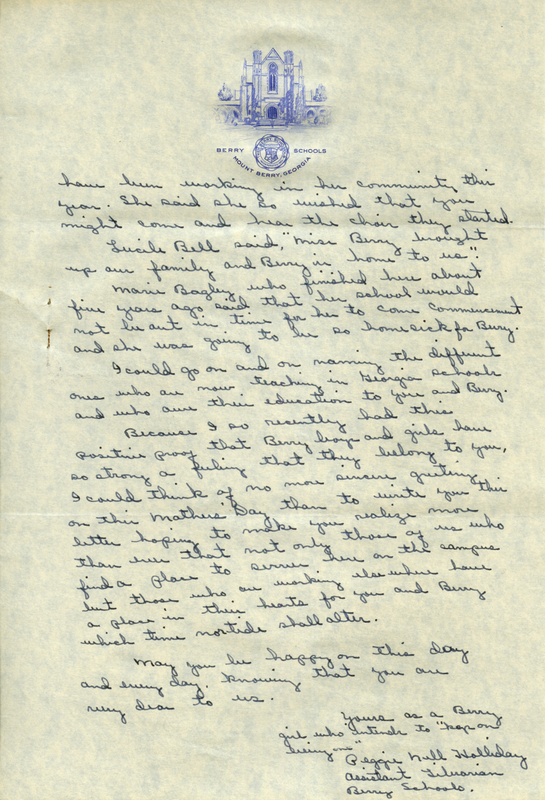 Mrs. Peggie Hull Holliday, “Letter from Peggie Hull Holliday to Martha Berry.” Martha Berry Digital Archive. Eds. Schlitz, Stephanie A., Justin Karch, Jessica Hornbuckle, et al. Mount Berry: Berry College, 2016. accessed April 20, 2019, https://mbda.berry.edu/items/show/14588.